Awake, behaving rodents, as well as anesthetized and in vitro preparations, are utilized in support of our ongoing research. 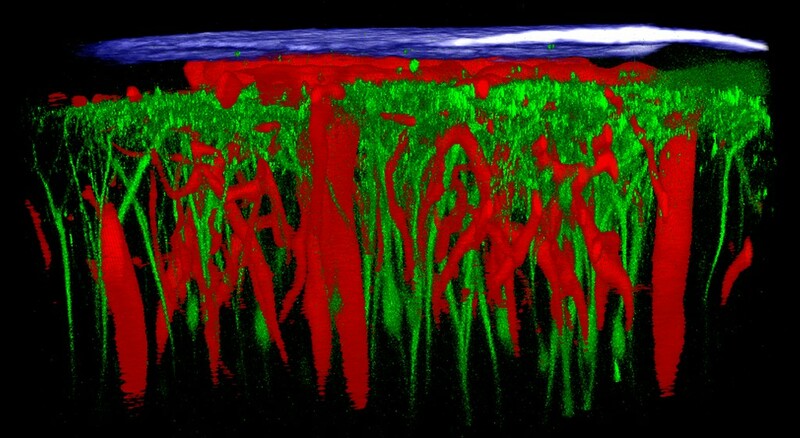 Our technical expertise includes: conditioned learning; intracellular recording; in vivo multisite extracellular recording; in vivo juxtacellular recording and staining; intracortical electrical, pharmacological, and optical (optogenetic) microstimulation; intrinsic optical imaging; in vivo two-photon laser scanning microscopy, including aberration correction for deep and wide imaging; transcranial imaging (PoRTS window - shown below); second and third harmonic imaging; in vivo plasmas mediated ablation of cells and tissue; viral expression; classical and viral track tracing, including transsynaptic tracing; histology and immunochemistry; G-protein receptor-based reporters of neuronal signaling (CNiFERs); cortical and brainstem slice physiology; automated spike sorting; analytical and numerical methods for data analysis; machine learning; and single cell and network modeling. We maintain a model shop for projects that involve a mixture of electronic, optical, and mechanical design and fabrication. 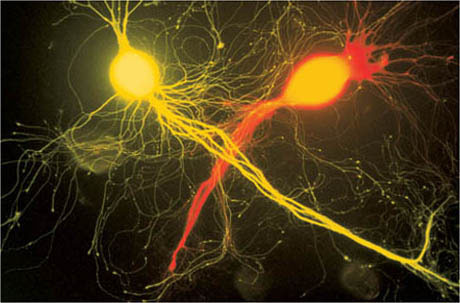 Our early research program utilized in vitro techniques with mammalian cell culture, including chemically patterned suibstrates for differential cell adhesion, and invertebrate cell culture uisng isolated neurons from juvenile Aplysia (shown below).